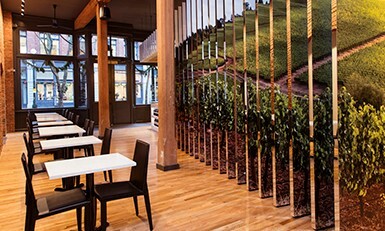 Experience a winery-style tasting or enjoy gourmet nibbles and by-the-glass sips at our unique urban tasting room. 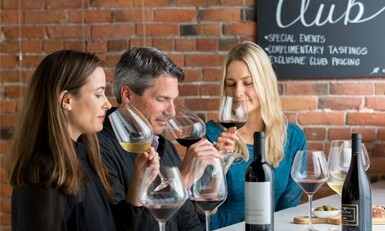 Our collection of wine club memberships offers access to limited-production wines, exclusive private events, complimentary tastings, and more. 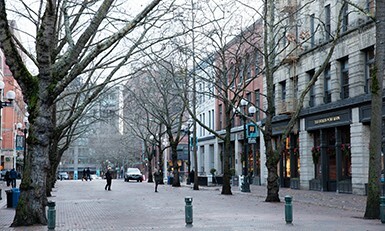 From cobblestone streets and century-old architecture to luxury boutiques and award-winning restaurants, Pioneer Square is one of Seattle’s most intriguing neighborhoods. Coming to The Estates Wine Room? Find parking spots with rates the same as or less than on-street parking at DowntownSeattleParking.com. We are excited to announce our new partnership with Drizly to offer 1-hour wine delivery in Seattle. Visit drizly.com or download the Drizly app to order wines from Seven Hills Winery, Double Canyon, Archery Summit and A.Bergère Champagne, delivered to your home or office in an hour. Delivery offered daily, 12-6pm. Select The Estates Wine Room for store location to browse wines. Use promo code ESTATES for $5 off your first order. Sign up for our occasional email and be among the first to hear about special events, new releases, and promotions.